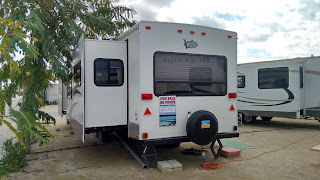 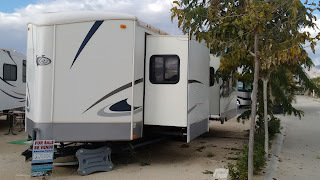 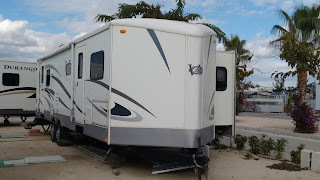 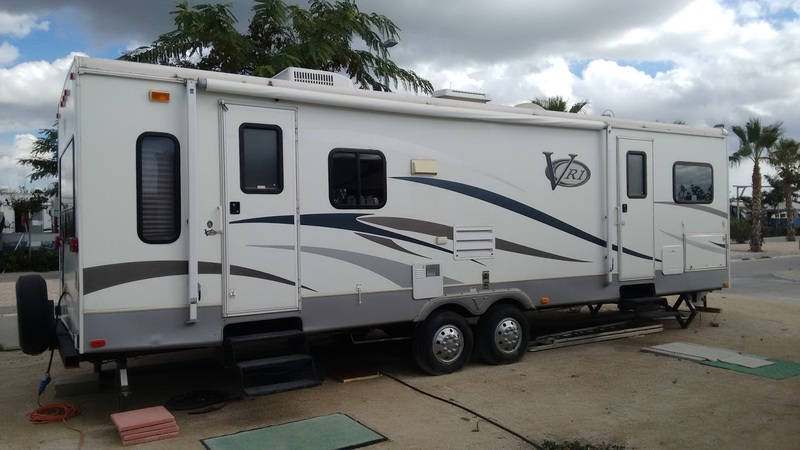 2007, 34' Keystone VR1 Travel trailer, SOLD, located on Spain's sunny Costa Blanca. 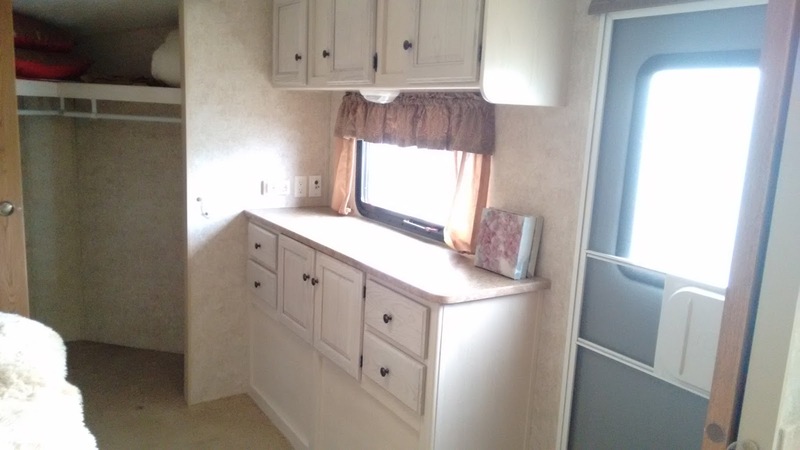 Lovely well cared for spacious trailer. The Vee-nosed design maximizes your living and storage space. Equipped with a slide out front queen master suite with large 'walk in' closet, under bed storage, dresser, and private exterior entrance door. 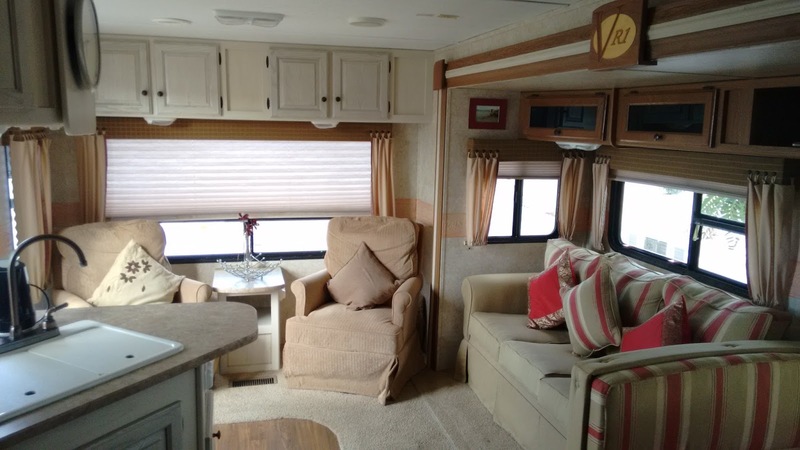 The main living area offers you a rear lounge with dual swivel rockers backed by a large window. Nestled into the main slide out is a hide a bed sofa and booth dinette. 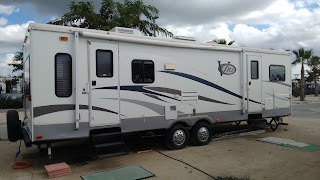 Entertainment centre with dvd, cd and radio. The kitchen features a microwave, three burner hob, oven, large double bowl kitchen sink with high rise mixer tap and Dometic refrigerator. 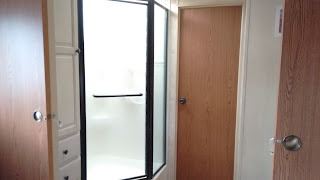 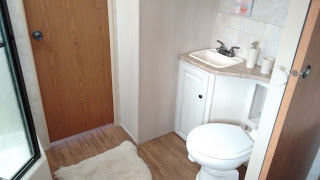 Large 'bathroom' with shower, sink and toilet. 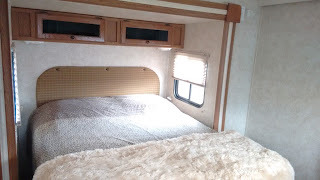 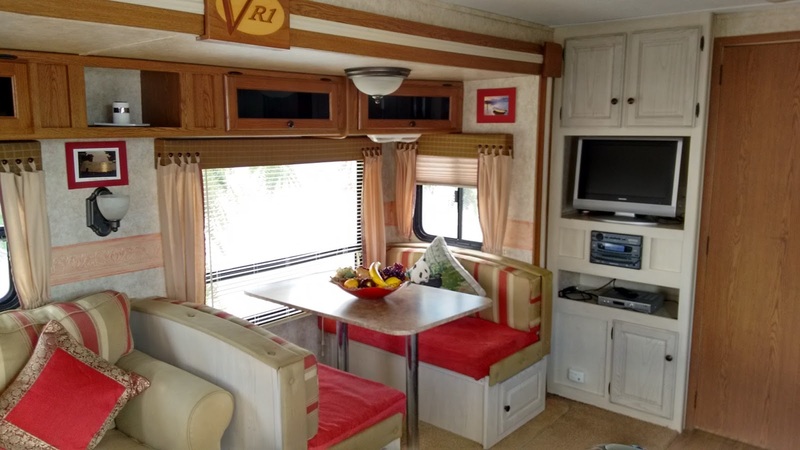 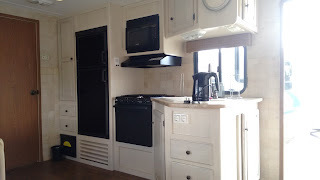 Other features, blown air central heating, air conditioning, large outside roll out blind (awning), water heater etc.